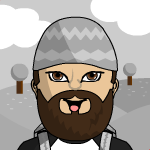 Lovely work damnitz! Inspires me to start my Hanoverian brigade asap. Currently working on the British 50th Foot. I really like the animation you have achieved with the cavalry units. A really good contrast to the stoic infantry lines. Nice to read that you like them. I think that hanoverian horse were shock-cavalry. Therefor Animation is what I wanted for these boys. My staff for the pragmatic army is ready for battle. I painted my last unit of my hanoverian army. The bn. was not at Fontenoy but at Dettingen. I decided to paint it because I love the green turnbacks etc..
Lovely looking unit, but the flags: wow! Very nice units, thanks for sharing. Although compared with a 30-years-war soldier, these animals could serve not only for "Pikeman's Lament" but for HoW too. 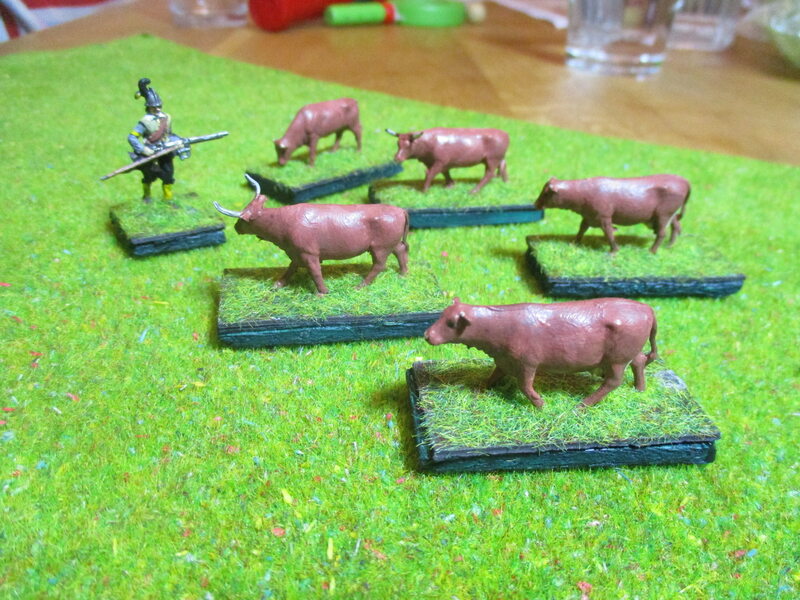 I painted these cows and oxes as Limpurger because they are easy to paint and a old german sort of cattle. The animals were manufactured by Pegasus ( www.plasticsoldierreview.com/Review.aspx?id=1728 ) and finely detailed they are. Maybe they look somehow small, but the cows etc. of the period were not these large creatures like today. You may need them for your camp. I can recommend them. I like your Hanoverians and the Generals vignette, the flags are also impressive! Now that is something I need for my baggage train. 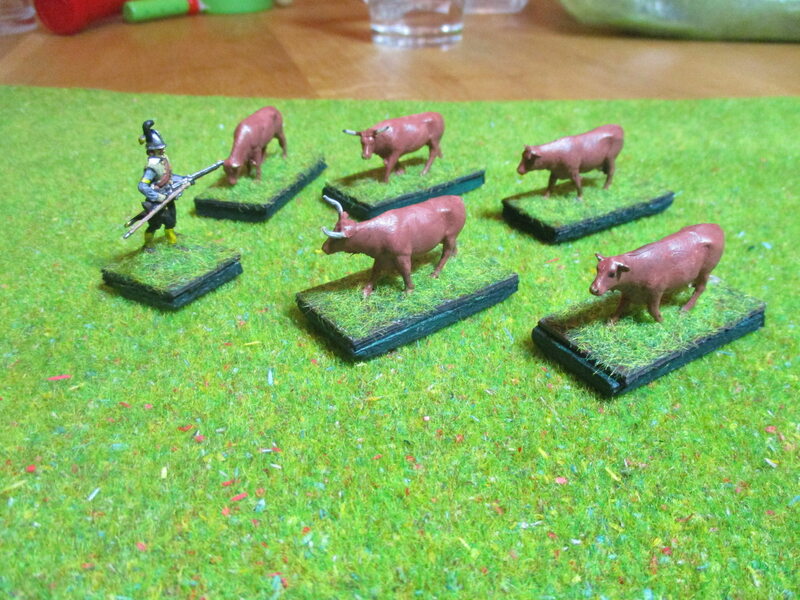 Fortunately Pendraken and Irregular Miniatures make domestic animals in 10mm.